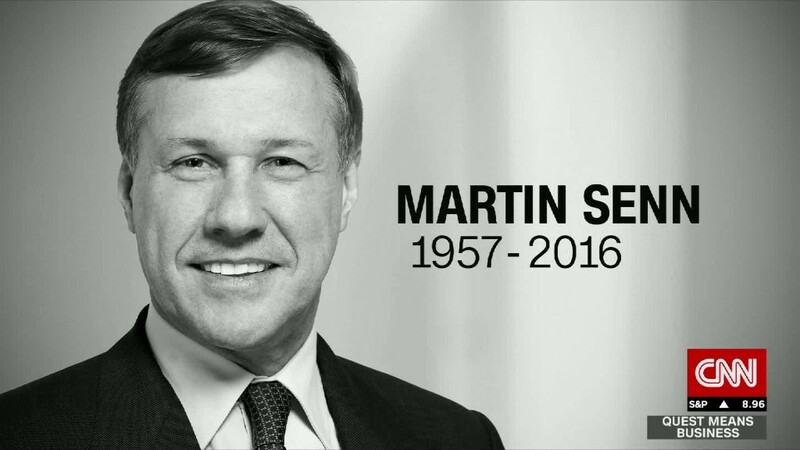 The former CEO of Zurich Insurance Group, Martin Senn, has taken his own life just months after leaving the company. Senn's death comes less than three years after the company's former CFO, Pierre Wauthier, also committed suicide. "It is with great shock and sadness that we must inform you of the sudden death of Martin Senn," Zurich Insurance said in a statement on Monday. "His family informed us that Martin took his life last Friday." Senn, 59, was a long-time employee of the insurer, serving as its chief executive for six years before stepping down in December. Senn said he was confident that Zurich was well positioned to meet its targets at the time of his resignation, but did acknowledge some "setbacks." The company had been planning a large acquisition of the U.K. insurance firm RSA Group, but the deal was scuppered in September due to a "deterioration in the trading performance of Zurich's general insurance business," according to an RSA statement. That part of the company's business was under pressure after it was forced to pay out $275 million in claims related to a major port explosion in Tianjin, China. Wauthier, who worked under Senn, was found dead at his home in Switzerland in August 2013. The executive had written a note before his death that mentioned Zurich's well-known former chairman, Josef Ackermann, who subsequently resigned from his post. An investigation by the Swiss Financial Market Supervisory Authority later found that Wauthier was under no "undue pressure." Zurich Insurance employs about 55,000 people, and provides general insurance and life insurance products in more than 170 countries. Shares in the company had plunged by about 40% between early 2015 and early 2016, but have since recovered a bit. -- Correction: An earlier version of this story misstated the time between Wauthier and Senn's deaths.